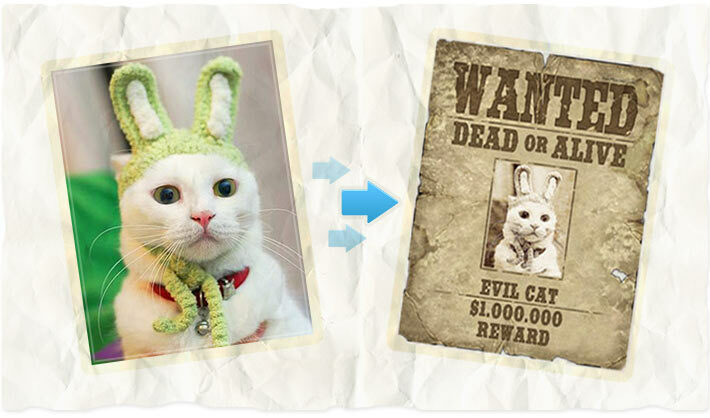 Wanted poster photo maker - easy and fun photo editing! An integral part of each western movie is a wanted poster with criminal's description and the reward for his catch. With wanted funny photo maker you can make wanted poster in a few seconds and absolutely free! Now you have a chance to feel yourself in criminal's shoes!